There are no comments for Triumph Bonneville 63. Click here to post the first comment. This classic British motorcycle is a Triumph Bonneville T120 from 1963. 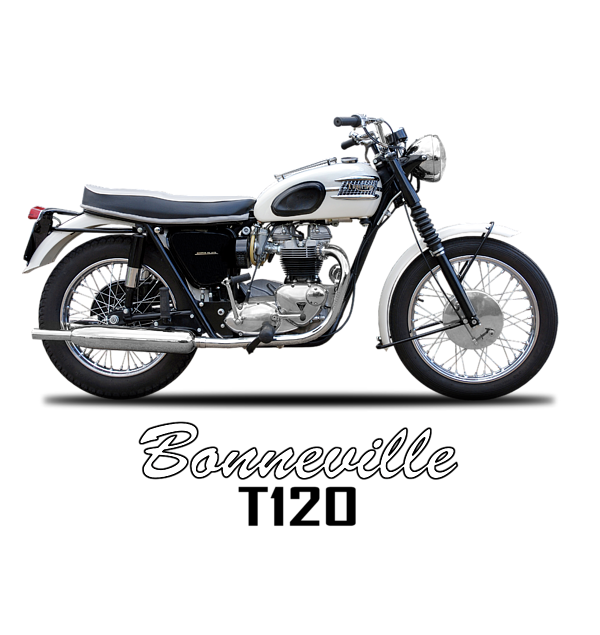 The 1963 Triumph Bonneville was essentially a brand-new bike. Not quite designed from a clean slate, but nearly every part was new and/or improved. The 1963 Triumph Bonneville and all the new unit-construction 650 Triumph motorcycles were an instant hit! It had it all: stunning performance, world-class handling and drop-dead good looks! See more beautiful vintage and classic motorcycles, like this one, in my "Vintage Motorcycle Collection" gallery, or visit my "Triumph Motorcycles" gallery.